Integer: The zero-based index of the panel that is active (open). String: Name of easing to use with default duration. Additionally, values of "slide" and "bounceslide" have built-in custom implementations. Whether all panels should be set to the height of the tallest panel. Whether to clear height and overflow styles after finishing animations. This enabled accordions to work with dynamic content. Requires the autoHeight option to be false. The event that accordion headers will react to in order to activate the associated panel. Multiple events can be specificed, separated by a space. Whether the accordion should expand to the available height based on the accordion&apos;s parent height. This option will override the autoHeight option. Selector for the header element, applied via .find() on the main accordion element. Content panels must be the sibling immedately after their associated headers. Icons to use for headers, matching an icon defined by the jQuery UI CSS Framework. Set to false to have no icons displayed. If set, looks for the anchor that matches location.href and activates it. Great for href-based state-saving. Use the navigationFilter option to implement your own matcher. A function that is invoked for each tab anchor, with the anchor element as the context. Must return true for the tab that should be active on initialization. The zero-based index of the panel to activate. Recompute the height of the accordion panels. Results depend on the content and height-related options. Triggered after a panel has been activated (after animation completes). If the accordion was previously collapsed, ui.oldHeader and ui.oldContent will be empty jQuery objects. 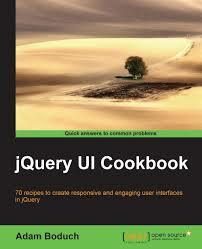 If the accordion is collapsing, ui.newHeader and ui.newContent will be empty jQuery objects. Triggered directly after a panel is activated. If the accordion is currently collapsed, ui.oldHeader and ui.oldContent will be empty jQuery objects. 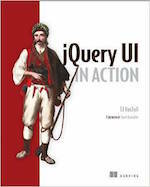 If the accordion is collapsing, ui.newHeader and ui.newContent will be empty jQuery objects. Triggered when the accordion is created.